Will video games make their brains rot? Can anything good come from hours of Zelda? How can I get them to stop playing Fortnite? If you’re a parent, you may have wondered any or all of these questions. You also may have noticed that most reports on gaming and media use among teenagers in the news only feed fear, concern, and disdain. As someone who studies media, it’s sometimes frustrating that research on young people and media tends to focus on the potential negative outcomes. While studies exploring the negative side are important, and provide parents with helpful insights on how to teach kids healthy media habits, it is also important to recognize how certain types of digital media can actually be positive or beneficial for young people. New research on the impact of video games offers a potent example. Currently, about 97% of all young people play video games, whether it’s an occasional Mario Kart race at a friend’s house or a full-blown Fortnite obsession. We have previously shared some important basics parents need to know [see 10 things every parent should know about gaming], as well as some sobering research findings on the potentially harmful effects of violent “first-person shooter” games [see Shoot to kill]. However, more recent studies have found that many games can have equally significant positive effects for children and teens. Wait, there’s something positive about video games? While it can be hard as parents to look beyond the day-to-day struggles with gaming kids, it’s helpful to hear about the potential upsides. These positive effects of gaming break down into three basic psychological needs young people have, which researchers refer to as competence, autonomy, and relatedness. Competence refers to self-esteem and feelings of capability, accomplishment, and success. Autonomy has to do with having the freedom and determination to make decisions independently, without input from a parent, teacher, or other adult. Relatedness is simply how well connected young people feel in relation to their friends and others their own age. 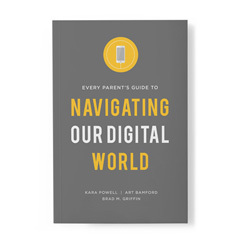 Gaming decisions in today’s digital world must be made family-by-family and kid-by-kid. When it comes to finding out which games are best for your kids, we recommend asking other parents whose kids are roughly the same age and share similar interests, and checking online ratings through sites like Common Sense Media (which includes reviews from other parents, as well as from kids themselves) and the ESRB ratings site. A greater understanding of the positive effects of gaming, in particular through strategy-oriented and sports games, can also inform family decisions. The next time your child or teenager asks to download a new game, you might consider how it might support competence, autonomy, and/or relatedness. One of the most impressive features of video game playing, especially compared with various other ways young people use digital media, are the cognitive benefits. Studies have shown that gaming can improve hand-eye coordination, complex problem solving, memory, and a young person’s ability to pay attention for longer periods of time. Problem solving, in particular, has stood out to researchers as a unique benefit gaming offers since many games build lots of smaller challenges into larger tasks. Games often encourage players to think strategically about individual steps in relation to other steps, and as part of a more complex overall process. Researchers have found that over time, gamers tend to be better able to navigate through real-life projects, from gathering information, to weighing different options, to formulating and then executing a strategy. Similarly, one study found students who regularly played strategic and role-playing games outside of school tended to earn better grades in school over time. A well-known criticism of gaming is it can lead to a more inactive or sedentary lifestyle (and there’s truth to this. We’ve written about the importance of taking breaks and setting limits). But ironically, several recent studies have found that playing sports games actually can cause young people to become more interested in participating in real sports. Researchers suggest that this is because sports games allow young people to “experience the thrill of victory, gain knowledge or strategies related to sports, and have fun, which, in turn, may enhance self-esteem.” The experience of enjoying a sport virtually gives some kids a boost of confidence and optimism about how they’ll perform on a real field or court. The freedom young people feel playing video games is a bit more of a double-edged sword. Today’s young people are far more limited in terms of their “free time” before and after school. As a result, they rely on digital media to enjoy meaningful, unstructured time with friends. It is important for parents to strive for some balance between free time on and offline. Keeping that in mind, gaming can provide a portal for young people to safely and enjoyably try and fail at new challenges, which helps develop their sense of inner motivation. Unlike a tough class at school or losing season on a sports team, kids are typically free to quit playing a game at any moment. With the difficult class or lousy season, kids often persevere out of a sense of pressure or obligation to meet the expectations of their teachers, parents, and peers. There’s value in that at times, but by comparison, advancing through a challenging game is something young people do because they want to. When it comes to cultivating a young person’s own inner motivation, overcoming obstacles like these are crucial—especially during adolescence when gold star stickers and cheers of “Great job!” from mom or dad aren’t quite as satisfying as they used to be. Multiplayer gaming can often appear brutally competitive to adults—and sometimes it is. The otherwise indifferent and aloof teens we know seem to transform into intense and fierce competitors determined to annihilate their opponents. Adults are also prone to assume that gaming, even when it is interactive with others online, is a solitary activity. But it turns out the competitive side of gaming also has potential to yield some of the most significant benefits. Researchers have confirmed what we might assume: cooperating together to defeat a common enemy, real or imagined, can strengthen social bonds among groups of gamers. However, research also indicates that opponents in a game walk away with a more favorable view of each other as well. In one study, this was true regardless of whether gamers knew their opponent personally or not (e.g., when kids in Canada were told their opponents were strangers in the U.S., it improved their view of Americans more generally). The only important caveats here are, first, this tends to be more effective for younger kids who do not have as much of a need for meaningful conversation and interaction. Some teens (and adults) use games to escape or avoid other types of social interaction, which can become a problem. Again, setting limits and taking breaks are important. Second, the researchers who conducted the study described above did not run their experiment with groups of siblings, where rivalries and competition sometimes reach a whole other level of intensity (see: Cain and Abel). Finally, the benefits described above specifically have been correlated with strategy and sports-related games, not necessarily first-person shooter, intensely violent, or games that fit more in the “mindless-distraction” realm. Gaming is not without its downsides. But while gaming can be a serious source of frustration for parents, learning more about the potential positive outcomes can not only ease some fears, but also provide insight for channeling gaming interests toward productive investments. Ferguson, C.J. (2015). Do Angry Birds make for angry children? A meta-analysis of video game influences on children’s and adolescents’ aggression, mental health, prosocial behavior, and academic performance. Perspectives on Psychological Science. 10, 646-666. Ryan, R.M., & Deci, E.L. (2017). Self-Determination Theory: Basic psychological needs in motivation, development, and wellness. New York: Plenum. See: Bavelier, D., Achtman, R. L., Mani, M., & Focker, J. (2012). Neural bases of selective attention in action video game players. Vision Research, 61, 132–143. Green, C. S., & Bavelier, D. (2003). Action video game modifies visual selective attention. Nature, 423, 534–537. Green, C. S., & Bavelier, D. (2006). Effect of action video games on the spatial distribution of visuospatial attention. Journal of Experimental Psychology: Human Perception and Performance, 32, 1465– 1478. Boot, W. R., Blakely, D. P., & Simons, D. J. (2011). Do action video games improve perception and cognition? Frontiers in Psychology, 2, 226. Unsworth, N., Redick, T. S., McMillan, B. D., Hambrick, D. Z., Kane, M. J., & Engle, R. W. (2015). Is playing video games related to cognitive abilities? Psychological Science, 26, 759–774. Van Ravenzwaaij, D., Boekel, W., Forstmann, B. U., Ratcliff, R., & Wagenmakers, E. J. (2014). Action video games do not improve the speed of information processing in simple perceptual tasks. Journal of Experimental Psycholo­­gy. 143, 1795–1805. Adachi, P.J. & Willoughby, T. (2013). More than just fun and games: The longitudinal relationships between strategic video games, self-reported problem solving skills, and academic grades. Journal of Youth and Adolescence, 42. 1041-1052. Adachi, P.J. & Willoughby, T. (2015). From the couch to the sports field: The longitudinal associations between sports video game play, self-esteem, and involvement in sports. Psychology of Popular Media Culture, 4, 329-341. Przybylski, A. K., Weinstein, N., Murayama, K., Lynch, M. & Ryan, R. (2012). The ideal self at play: The appeal of video games that let you be all you can be. Psychological Science, 23, 69-76. Adachi, P. J., Hodson, G., Willoughby, T., Blank, C., & Ha, A. (2016). From outgroups to allied forces: Effect of intergroup cooperation in violent and nonviolent video games on boosting favorable outgroup attitudes. Journal of Experimental Psychology: General, 259-265.